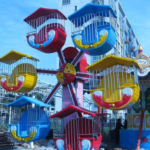 If you`re curious about small ferris wheels, then this guide was written for you. In particular, we`re going to explore what these wheels are, the benefits the provide any amusement park owner, and why they`re so popular. By the time you`re finished this guide, you`ll understand the benefits of these wheels to a much great degree – so let`s dig in. 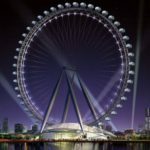 Firstly, a small ferris wheel is essentially the same thing as the larger observation wheels you`re likely seen in the past – with the only major difference being the size. Of course, the smaller size makes them far more affordable for most amusement park owners, too. Because these ferris wheels are smaller, it`s even possible to use some of them indoors – although the outdoor variety seems to be the most popular attraction, thanks to the fantastic views they can provide. If you`re an amusement park owner, then the smaller ferris wheels provide the ideal starter ride for children who may not be ready for larger rides – as well as timid parents who may not quite be ready for the more intimidating rides either. What`s more, they are often designed in a very colorful and attractive way, which means they give excellent visual interest to your park. In fact, some of the best designs are often likes works of art all by themselves. 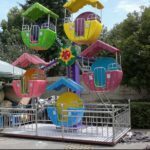 The popularity of the small ferris wheel is no surprise, especially when you consider how enjoyable they are for kids to ride on. They often give the same feeling of being on a ride, but the sensation is far gentler, so they won`t leave the children shaking and terrified by the time the ride ends! Additionally, they represent an excellent purchase for the smart amusement park owner. 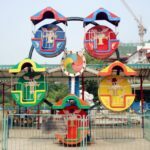 The mini ferris wheels are perhaps one of the most low maintenance items you could have in your entire park, and while you`ll obviously need to ensure they remain safe and secure to use – they are equally resistant to severe weather. Thanks to the 4 stage treatment process most of them are finished with, you`ll never have to deal with rust or paint fade. 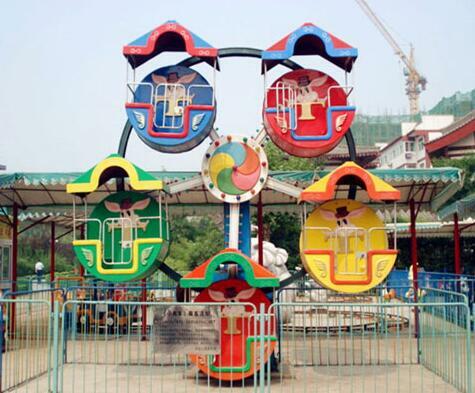 Overall, the small ferris wheel is one of the most popular rides in any amusement park. 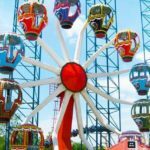 They may seem small and underwhelming to people who are real thrill-junkies, but to the average amusement park visitor, they represent the fun, gentle side of thrill seeking that`s quite enough for most people.